Snake fungal disease, SFD, is widespread in snake populations across eastern North America. SFD causes skin lesions and often leads to death. We hypothesize increased stress and stress reactivity in timber rattlesnakes makes them more susceptible to SFD and makes it harder for snakes to fight off the disease. We will tag and track 20 timber rattlesnakes to test this hypothesis. We will also use these data to see how SFD influences snake habitat selection and movement patterns. We know little about variability in susceptibility to SFD infection in snakes. We hypothesize environmental stressors, such as food restriction, land use change, and predation risk, influence SFD transmission. Chronically elevated corticosterone (CORT), a stress hormone secreted by the adrenal cortex, can be immunosuppressive and increase disease susceptibility. We predict that elevated CORT and greater stress reactivity (difference in CORT pre- and post- stressor) will increase susceptibility to SFD. We will also hypothesize that individual level behaviors, habitat selection and movement, will be influenced by SFD. Few studies have documented these relationships. Snakes provide important ecosystem services. They are known to be predators and prey in terrestrial and aquatic food webs, seed dispersers, and mitigate tick-borne diseases. Timber rattlesnakes are slow to mature and have few offspring, which may make their populations more vulnerable to the effects of SFD. By understanding how stress and stress reactivity influences SFD dynamics and how SFD influences habitat selection and movement patterns, we are better able to conserve and manage snake species populations affected by SFD. Our objectives are to determine the influence of stress on susceptibility to and ability to recover from SFD and assess whether infection by SFD influences timber rattlesnake habitat selection and movements. We hypothesize greater stress increases susceptibility to SFD and decreases the ability to recover from SFD. We are already tracking 10 timber rattlesnakes with telemetry and will track another 10 snakes during summer 2019. We will track the snakes for 18 months via homing 2-3 times per week from May - Oct and once every 2 weeks during the winter. Once per month from May - Sept we will collect blood samples to measure baseline and elevated CORT. We will also swab each snake to test for SFD via qPCR. We funded John’s first field season with money from the Darracq Lab and external grants he received from various sources. At this point, all available funds have been depleted and we are requesting funds to complete our 2019 field season. We are asking for help to fund a field technician for John from May - Aug. who will receive a stipend of $4,750. We have added $390 to cover FICA at 8.2 %. We estimate driving 500 miles per week for 24 weeks from May – October 2019 (~$0.43/mi.). Funds obtained beyond our goal will be used to conduct qPCR and ELISAs. John already has access to all other field equipment needed for his project and has obtained funding to purchase 10 transmitters. I am very excited to endorse this project. I am a committee member on John's committee and a colleague of Dr. Darracq and, as such, I have reviewed the research carefully. John's work has the potential to reveal much we didn't know about timber rattlesnakes, as well as provide insight into how snake fungal disease may impact this and other species. Additionally, I am impressed with the number of snakes that he has followed and the information that he has gained thus far from his study. I thus strongly endorse this project. We are currently tracking the 10 snakes we captured in spring/summer 2018. We will capture an additional 10 rattlesnakes by Sep. 1st, 2019 and finish tracking all snakes by Sep. 30, 2020. We will complete all qPCRs and ELISAs by Nov. 31, 2020 to allow for the completion of data analysis, writing, and a thesis defense by Apr. 30th, 2021. We will share the finished thesis with our backers. We aim to publish our results in a peer-reviewed journal by the end of 2022. I was fortunate to grow up in an area of the country where several geographic features converge leading to high levels of biodiversity. From a young age I was captivated by natural history and I gravitated towards organisms that I could catch and photograph, primarily the herpetofauna. This passion for zoology and herpetology was something that I retained into adulthood. After finishing my bachelor’s degree, I worked as a pilot for several years before the allure of science drew me back to my roots once again in pursuit of a master’s degree. I’m interested in an integrative approach to biology across scales from molecules to ecosystems, with an emphasis on physiological ecology and disease ecology. I’m also interested in the interface between the conservation of biodiversity and the implications for public health. My hobbies include reading, nature photography, scuba diving, flying airplanes, and spending time with my family. 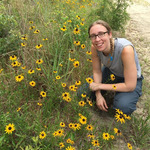 I am an assistant professor at Murray State University and an Associate Wildlife Biologist certified through The Wildlife Society. Like Aldo Leopold, the father of wildlife management, I have always had a passion for wildlife and cannot live without wild things. In my position at Murray State, I am fortunate to teach our future wildlife biologists, advise the Murray State Chapter of The Wildlife Society, and to be the program coordinator of the Wildlife and Conservation Biology program. Additionally, I mentor undergraduate and graduate students as they complete research related to how wildlife management and anthropogenic stressors influence wildlife at individual (behavior and stress physiology), population, and community levels. I aim for the research completed in my lab to help inform wildlife conservation and management, which is increasingly important with accelerated human-caused global biodiversity loss. 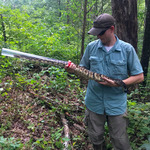 Though we are requesting funds for the 2019 field season only, John will track the 10 snakes he transmitters this summer through August or September 2020 (pending transmitter life) and will then complete his thesis in Spring 2021. This last field season should cost less than the 2019 season because he will drive less. Thus, any additional money we raise over our goal will be used to fund his last field season in 2020.